Who invented Fish Head Curry? It is often credited to a Keralan chef (Singapore's Malayalee Community -an Indian ethnic group from Southern Indian state of Kerala). He balked the idea of discarding edible parts of a fish. 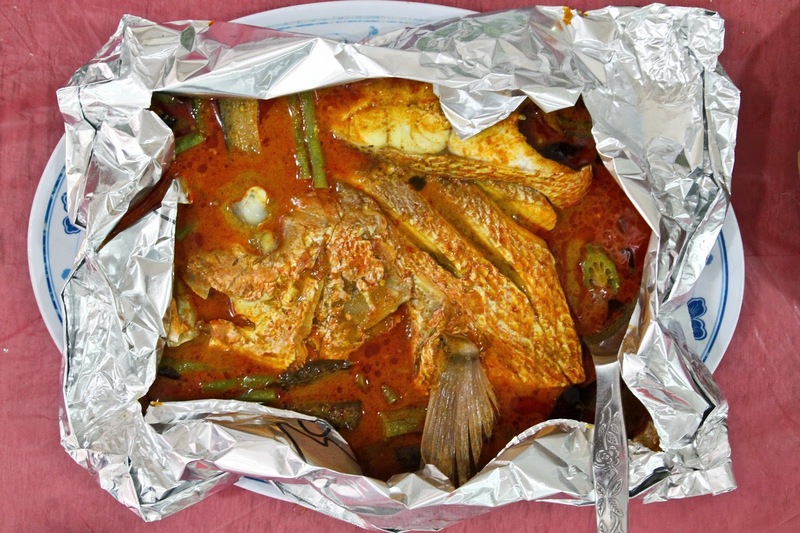 There is a long history behind Fish Head Curry, click here for the entire story. I won't be discussing the ownership of fish head curry because food is universal! Fish Head Curry is served in both Chinese and Indian restaurant. However, the style of cooking is different! 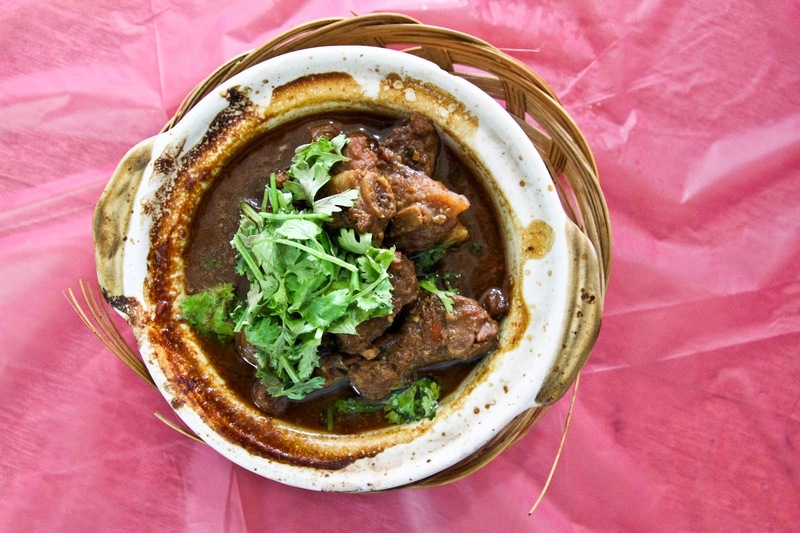 Indian restaurants prefer to stew the fish head in a large clay pot while Chinese restaurants tend to steam the Fish head and pour the curry gravy over it. Red Snapper is commonly used since it is smaller (good for small groups) and readily available. 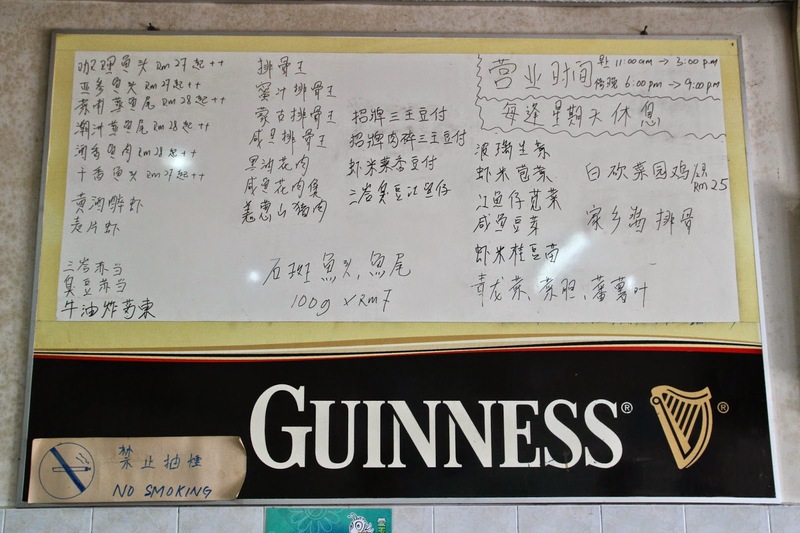 With the quick recap or new found knowledge on Curry Fish Head. Where do we savour this delicacy? When we mention curry fish, many will shake one's head in disapproval as we don't get much meat from a fish head. OR do we? Having a fish head is a gastronomic delight. You get all sorts of texture such as meat from the eyeballs which are gooey, cheeks which are tender and sweet, fish collar which are rich and fatty! 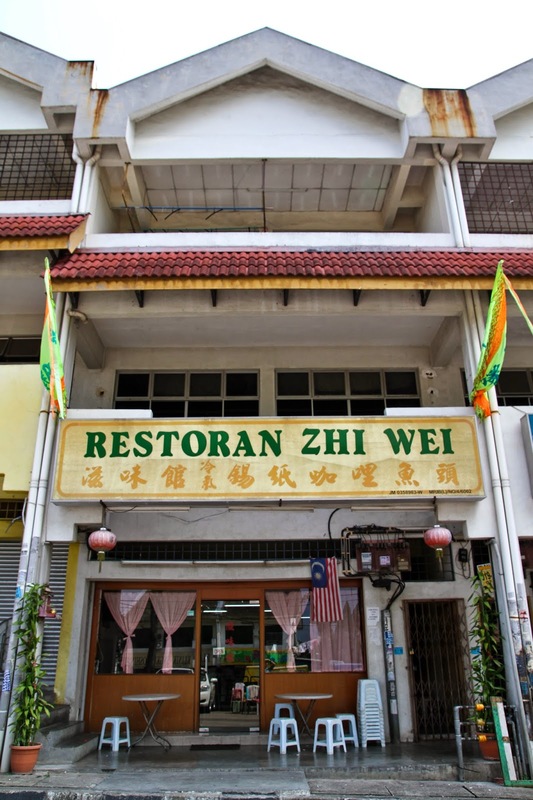 Recently, my dad brought to Restoran Zhi Wei 滋味馆 and this is where I can find the type of Fish Head Curry which I love. A big red snapper head with lots of meat! The fish head here is cooked individually, wrapped in aluminium foil and steamed when ordered. MUST TRY. I am surprised to find that this restaurant has not been reviewed by many foodies! Be warned that it may be extremely crowded during lunch on weekdays as regulars swarm the restaurant. You will have to wait for a seat as it is extremely crowded during lunch. Your order will be taken payment made after you finish your meal. Enjoy!!! The Fish Head Curry is fresh without any fishy smell, flavourful as the curry seeps into the fish head. A MUST TRY!!! This is probably the best selling dish in the restaurant. Prices vary based on size. Their "Trademark" Tofu. I am guessing that the Tofu is specially sourced or self-made by the restaurant as it is does not taste like the standard fermented ones. 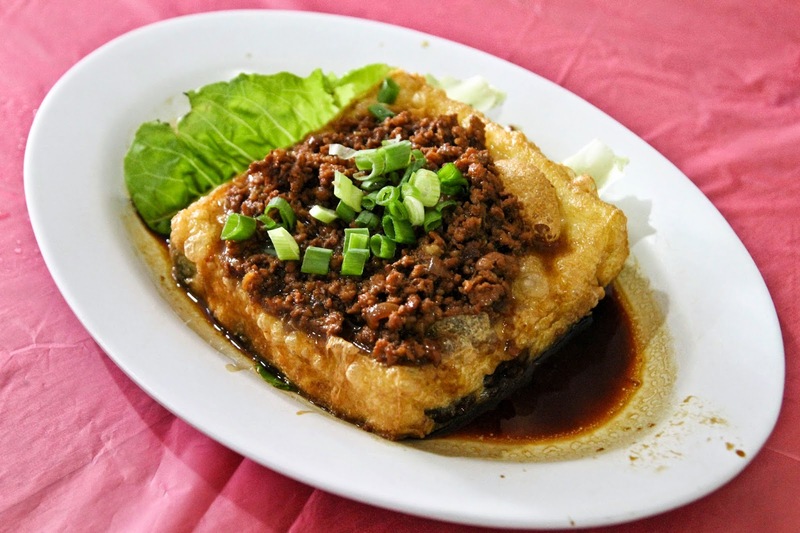 The tofu is fried golden brown and contains a silky smooth interior tasting like egg tofu. MUST TRY. 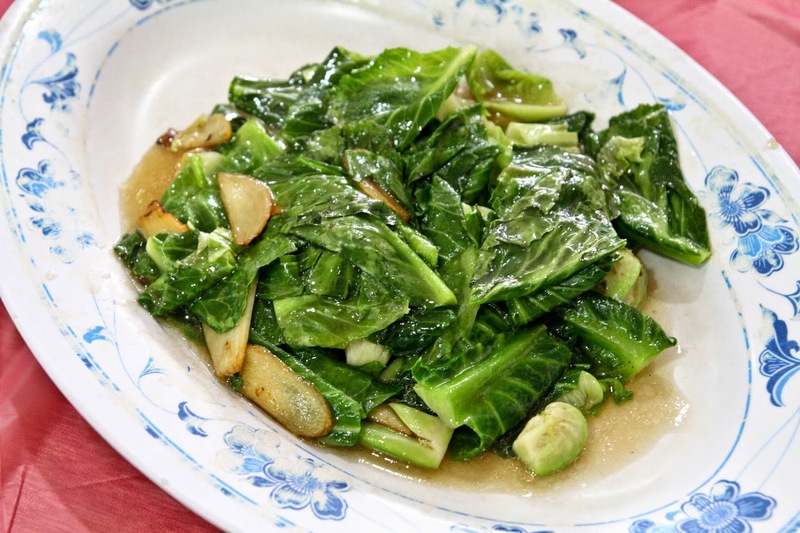 Baby Kailan which has been fried in Ginger. Great homemade taste which is their restaurant's name. This is a special dish that is occasionally available. Nicely stewed pork ribs in a sauce similar to sesame oil chicken we have in Singapore. The only down side is that there are lots of bones. The air-conditioned interior. Great for warm afternoons. The interior of the restaurant after the lunch hour crowd. 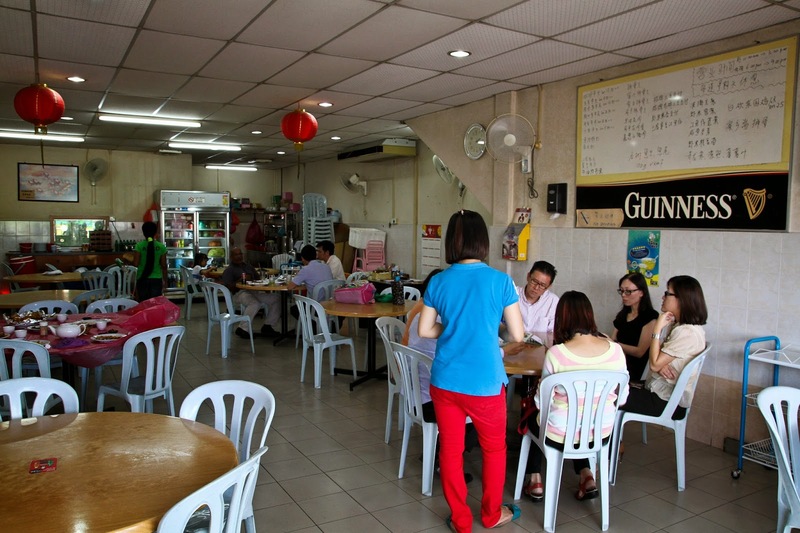 - They have air conditioning which is a big plus point since you will be having SPICY FOOD. - The owners are honest people who will give you good recommendations. They will even stop you from over ordering! - Minimum of 2 persons dining in during lunch or be prepared to be shown to the door. Koo Haoming. Founder of The Fat Chemist. Currently an undergrad at the National University of Singapore with a burning passion for science! Inspired to start a blog after reading the book, "Napoleon's Buttons, How 17 Molecules Changed History". The book fills the gap between Chemistry and History. Adapting the style of the book, posts written by me highlight the chemistry in the food we eat.